The sweatshirts have a drawstring through the hood, which poses a strangulation hazard to children. 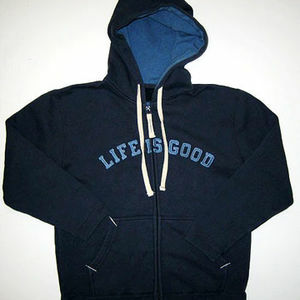 The recall includes about 1,200 hooded sweatshirts that have "LIFE IS GOOD" written on the front in sewn-on letters. They were sold in children sizes small (6-8), medium (10) and large (12) with drawstrings through the hood. Sweatshirt colors include dark and light blue. www.redenvelope.com from March 2006 through March 2007 for about $35. Immediately remove the drawstrings from the sweatshirts and contact RedEnvelope Inc. for information about returning the sweatshirts for a full refund. For more information, call RedEnvelope Inc. toll-free at (877) 733-3683, or visit their Web site at www.redenvelope.com.